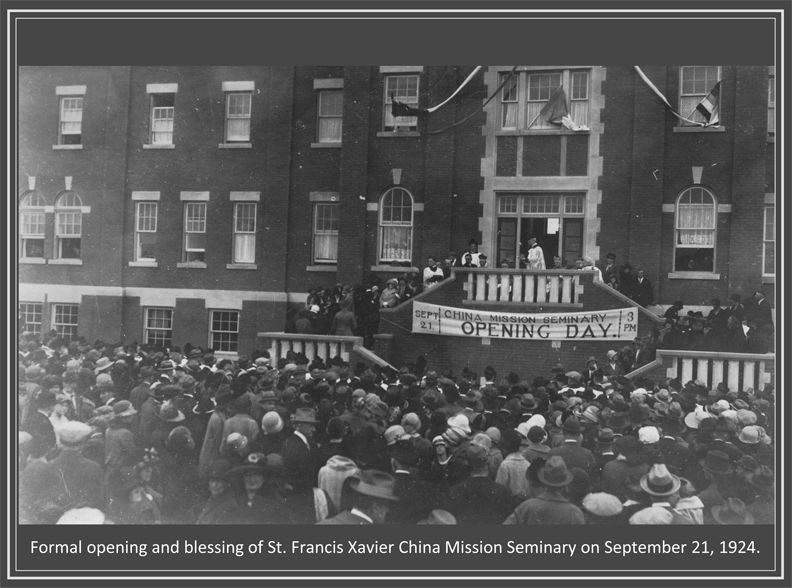 Today is the anniversary of the opening and blessing of the St. Francis Xavier China Mission Seminary in Scarborough, 1924. This November, Scarboro Missions will celebrate its centenary. This homegrown Roman Catholic mission society was founded by Msgr. John Mary Fraser. The son of Scottish immigrants, Fraser was born in Toronto in 1877 and studied for the priesthood at the Collegio Brignole Sale in Genoa, Italy. It was here that his vocation came into focus and he was ordained for mission work in 1901. In 1902, Fr. Fraser became the first North American missionary priest to work in China, where he was assigned to the Diocese of Ningbo. Eight years later, Fr. Fraser returned to Canada and spent two years trying to raise interest in mission work in China. On November 9, 1918, Fr. Fraser received authorization to establish the China Mission College in the Archdiocese of Ottawa to train priests to accompany him overseas. The college building in Almont - a converted flourmill - was quickly outgrown by the increasing number of vocations. 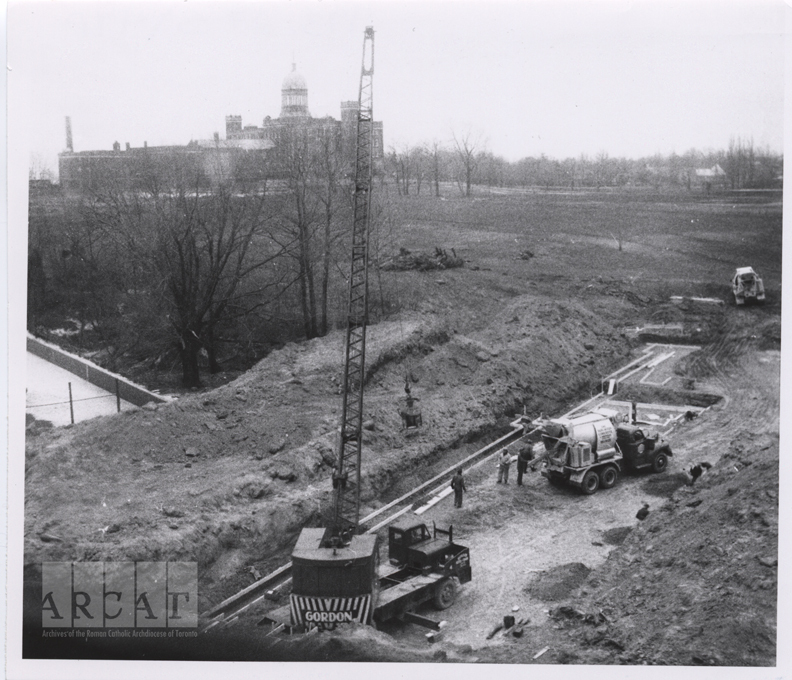 In 1921, the college relocated to a temporary site in the Archdiocese of Toronto. 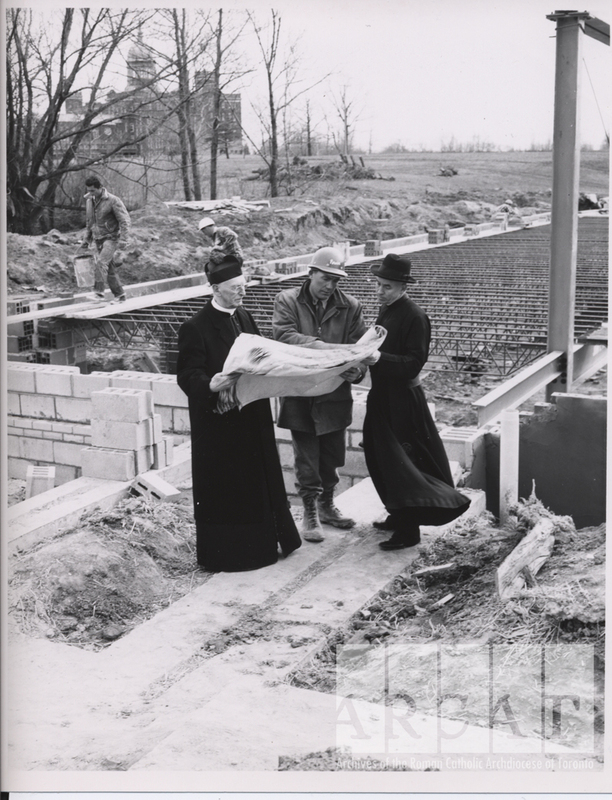 In 1924, the staff and students moved into a new building on the Scarborough Bluffs, beside St. Augustine’s Seminary. Today is the anniversary of the opening of the St. Francis Xavier China Mission Seminary in Scarborough. A crowd gathers for China Mission Seminary Opening Day, ninety-four years ago today. Father John Mary Fraser can be seen in front of the main doors, presiding over the festivities. The new edifice was built on property near the Scarborough Bluffs. 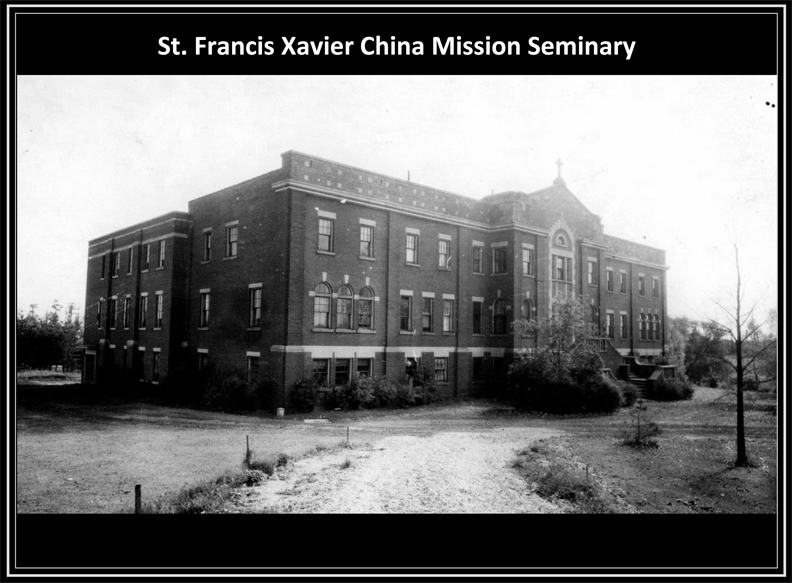 In 1940, with the approval of the Holy See, St. Francis Xavier China Mission Seminary was renamed the Scarboro Foreign Mission Society and its graduates Scarboro Foreign Mission Fathers (S.F.M). Following the Communist Revolution in 1949, all Canadian missioners were arrested and eventually expelled from China. The Mission Society changed its focus to other countries in Asia, and Latin America. In 1950, Msgr. Fraser was invited to Japan, where he built churches and established schools in Nagasaki, Fukuoka and Osaka. Photograph of Msgr. 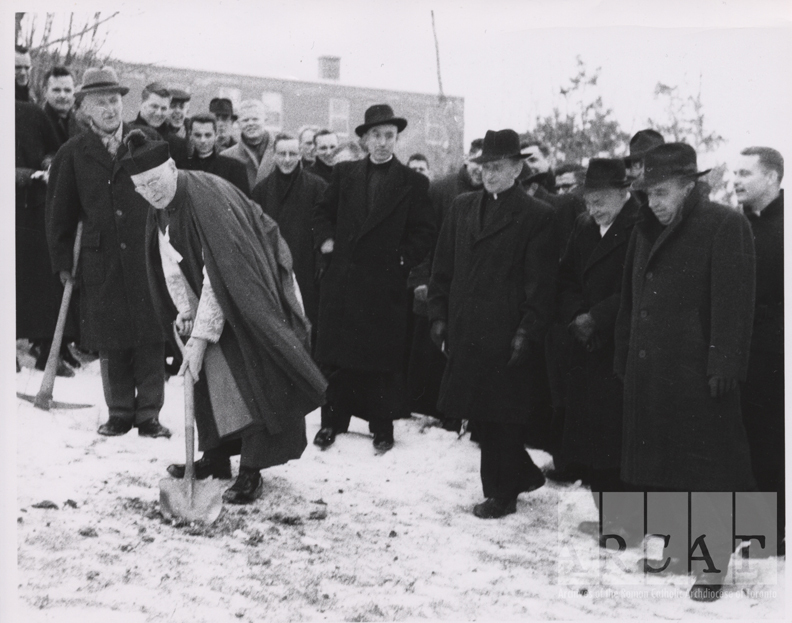 John Fraser at the sod-turning ceremony for the seminary extension, 1958. Msgr. Fraser, Fr. McQuaid, and construction superintendent Charles Giardelli discuss the building specifications for the chapel and extension. St. Augustine's Seminary, for the training of diocesan priests, can be seen in the background, on the adjacent property. 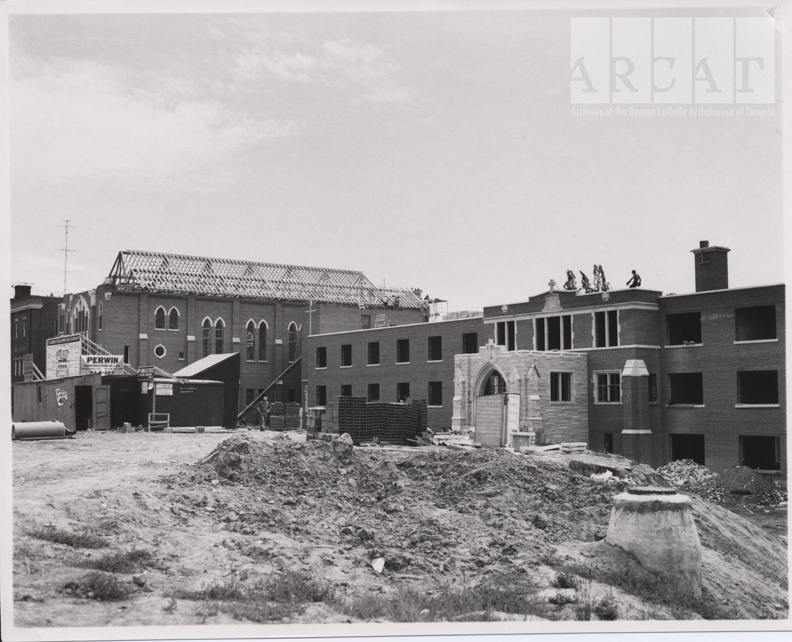 Construction of the chapel (background) and motherhouse (foreground) on Kingston Road continues. 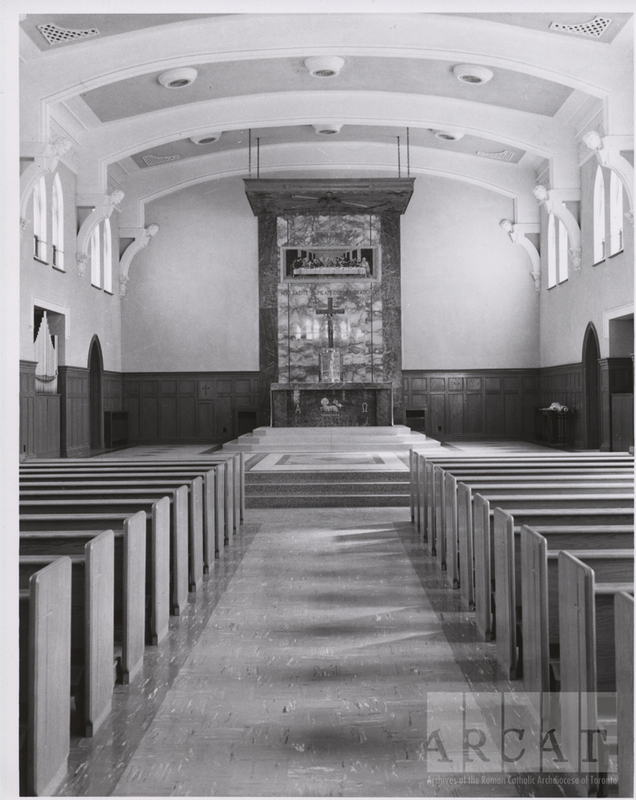 The new chapel and motherhouse are completed in the Spring of 1959. Msgr. Fraser died in 1962 in Osaka and was buried there. Read more about Scarboro Mission's remarkable founder here. The reforms of Vatican Council II emphasized the important role of the laity in the Church. Since 1974, single men and women, as well as married couples, have been invited to join with S.F.M. priests as global missioners. The organization is now called Scarboro Missions and defines itself as a society of Canadian Catholics, both priests and laity. Scarboro Missions is currently present in China, Brazil, the Dominican Republic, Guyana, and Canada. To celebrate their 100th anniversary, the Scarboro Missions Archives has produced an excellent five-part commemorative slideshow featuring archival photographs and records from their collections.